Has Pope Francis Saved Western Culture? Did the Roman Rite Anciently Have Three Readings? Is Reading More Scripture at Mass Always Better? Vatican II produced a renewal movement that simply comes from the same Gospel. Its fruits are enormous. Just recall the liturgy. The work of liturgical reform has been a service to the people as a re-reading of the Gospel from a concrete historical situation. Yes, there are hermeneutics of continuity and discontinuity, but one thing is clear: the dynamic of reading the Gospel, actualizing its message for today—which was typical of Vatican II—is absolutely irreversible. Then there are particular issues, like the liturgy according to the Vetus Ordo. 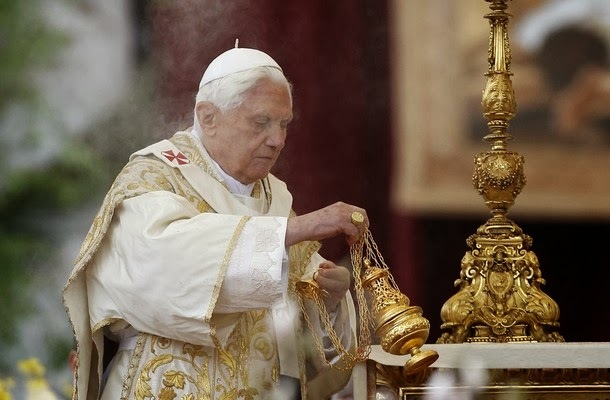 I think the decision of Pope Benedict [his decision in Summorum Pontificum of July 7, 2007] was prudent and motivated by the desire to help people who have this sensitivity. What is worrying, though, is the risk of the ideologization of the Vetus Ordo, its exploitation. How quickly some are tempted to forget the profound teaching of Pope Benedict XVI! In all the furor of reaction to Pope Francis’s interview, did anyone, journalist or apologist, take pains to ask about the meaning of the off-handed reference to “hermeneutics of continuity and discontinuity,” or did everyone quickly race ahead to the remarks about the Vetus Ordo? For progressives, liberals, and modernists, it would certainly be convenient to forget about the Benedictine teaching on the hermeneutics, as if it was a bad dream from which we had awakened—and yet this is the very heart of the matter: is there a different Church after the Council than before? Note, first of all, that Pope Francis speaks, without batting an eye, of “hermeneutics of continuity and discontinuity.” He is aware of what Pope Emeritus Benedict has taught, he accepts it—accented, it is true, by a slight romanticization of the Council’s modern impetus and élan—and he is content to use, without hemming or hawing, the quite simple terminology quoted above, which, in any case, is already quite commonplace in the Church today. We will see why this is important in a moment, when we come to Fr. Martin Rhonheimer. In recent days we have also seen the publication of letters that Pope Francis wrote to Archbishop Marchetto and Cardinal Brandmüller. In each letter, there is a decisive nod to Benedict XVI. The Pope praises Marchetto’s interpretation (or hermeneutic) of Vatican II, which is precisely one of continuity, against the Bologna school of rupture. And, in reference to the Council of Trent, the Pope expressly cites the December 22, 2005 address in which Pope Benedict momentously introduced the discourse on competing and incompatible hermeneutics. Professor Andrea Grillo of the Pontifical Athaneum of San Anselmo must be eating his hat. Prior to the release of these letters, Grillo had the temerity to opine that Pope Francis had “immediately put in second place that diatribe over ‘continuity’ and ‘discontinuity’ which had long prejudiced—and often completely paralyzed—any effective hermeneutic of Vatican II.” So much for reading the signs of the times. What Did Pope Benedict Really Teach? 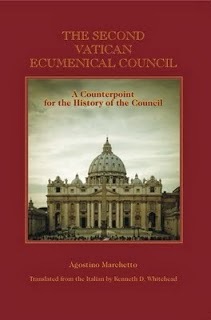 Those who are following the ever-intensifying debate over the correct interpretation and application of Vatican II may have noticed a tendency on the part of the old guard to base their arguments precisely on the fact that Pope Benedict did not use the phrase “hermeneutic of continuity” in his famous speech to the Roman Curia of December 22, 2005, but rather “hermeneutic of reform, of renewal in the continuity of the one subject-Church which the Lord has given to us”—as if this latter phrase meant something other than, and possibly contrary to, a hermeneutic of continuity with Tradition. What has often been remembered from the treatment is that the pope opposed to the hermeneutic of rupture a hermeneutic of continuity. Now, an attentive reading of the text leads to another conclusion. … What Benedict XVI has opposed to the hermeneutic of rupture is ‘a hermeneutic of reform in the continuity of the one subject-Church.’ … Benedict XVI’s proposal of a hermeneutic of reform—because it is precisely this that he puts at the forefront, and not the hermeneutic of continuity, as is often said—deserves to be taken seriously. An Opus Dei priest and a well-respected professor, Fr. Rhonheimer is commonly said to have been a major contributor to the text of the encyclical Veritatis Splendor, with its powerful denunciation of moral relativism. In recent years, however, he has taken questionable stances, as in his defense of condom use by AIDS victims or his grossly simplistic apologia for the novelty of Dignitatis Humanae. In short, it is becoming fashionable among anti-traditionalists to say that Pope Benedict XVI did not intend to teach us a “hermeneutic of continuity” but rather a “hermeneutic of reform,” which, in the end, deliberately refuses to establish a true and full connection between the preconciliar and the conciliar. Here I shall cite only John XXIII’s well-known words, which unequivocally express this hermeneutic when he says that the Council wishes ‘to transmit the doctrine, pure and integral, without any attenuation or distortion.’ And he continues: ‘Our duty is not only to guard this precious treasure, as if we were concerned only with antiquity, but to dedicate ourselves with an earnest will and without fear to that work which our era demands of us ….’ It is necessary that ‘adherence to all the teaching of the Church in its entirety and preciseness ...’ be presented in ‘faithful and perfect conformity to the authentic doctrine, which, however, should be studied and expounded through the methods of research and through the literary forms of modern thought. The substance of the ancient doctrine of the deposit of faith is one thing, and the way in which it is presented is another ...,’ retaining the same meaning and message. I am referring here to the need for a hermeneutic of continuity also with regard to the correct interpretation of the liturgical development which followed the Second Vatican Council: cf. Benedict XVI, Address to the Roman Curia (22 December 2005): AAS 98 (2006), 44-45. This note not only uses the more direct phraseology, applying it to the liturgy, but also cites the address in question, as if to underline that its point may be summed up in this fashion. With this key for its reading and application—according to a view, certainly not of an unacceptable hermeneutic of discontinuity and of rupture, but of a hermeneutic of continuity and of reform—listening to the Council and making ours the authoritative indications are the path to ascertaining the ways with which the Church may offer a significant response to the great social and cultural transformations of our time, which have visible consequences also on the religious sphere. To return to our point of departure, it is hardly surprising that Pope Francis, a man who prizes simplicity, spoke simply of two hermeneutics—one of continuity, the other of discontinuity. His were not the subtle doubts of Routhier and Rhonheimer, nor the temerarious dismissal of Grillo. We are dealing here with a fundamental teaching of Pope Benedict XVI that time will not efface, that faithful Catholics have already embraced as a method of discernment, and that the future will vindicate more and more.